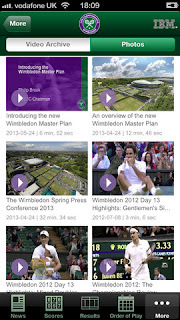 Developer Quote: "The All England Lawn Tennis Club (Championships) Limited presents the official iPhone app for Wimbledon. 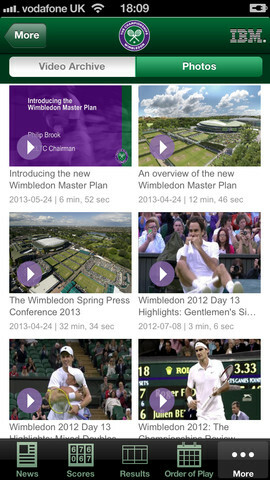 Follow all the action LIVE during the fortnight with the app, The Championships, Wimbledon 2013 for iPhone." 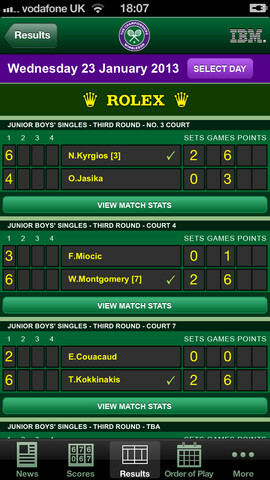 Kick back in your chair and relax with an amazing world-class game of tennis today. There have already been several stunning scores and eliminations, along with incredible shots and strategies of all kinds! 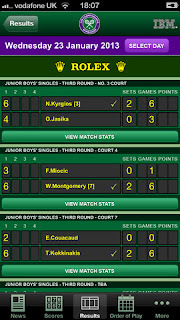 COOL CONCLUSION: The Championships, Wimbledon 2013 for iPhone is an extremely helpful and efficient app in portraying all the latest Wimbledon news, scores and more directly to your phone.